President Trump took to Twitter in the wee hours of Friday morning to offer some fresh venting about CNN and their critical coverage of him in recent days. Trump took issue with what he said was blame he was receiving about various mail bombs sent out this week to the network and a number of other prominent Trump critics. It’s unclear who exactly at CNN has compared the attempted mail bombing to 9/11 or Oklahoma City or why the president was awake at 3 a.m. A rep for CNN did not immediately respond to request for comment. What is clear is that CNN anchors and leadership have been unequivocal in laying the blame at Trump’s feet. Things got going right from the top, with network chief Jeff Zucker pointing the finger at rhetoric from the White House. “The president, and especially the White House press secretary, should understand their words matter,” said Zucker. “Thus far, they have shown no comprehension of that.” Media reporter Brian Stelter noted on-air that all of the targets had been “criticized mercilessly by right-wing outlets” — a point he repeated in his newsletter Thursday evening. On Friday, 11th and 12th mail bombs were discovered addressed to New Jersey Sen. Cory Booker and former National Intelligence chief James Clapper. Other targets this week have included Barack Obama, Hillary Clinton, John Brennan, Maxine Waters and billionaire financier George Soros. Trump has so far gone out of his way to avoid standing in solidarity with CNN — who he routinely derides as fake news. During a bill signing ceremony at the White House on Wednesday, Trump condemned all political violence. 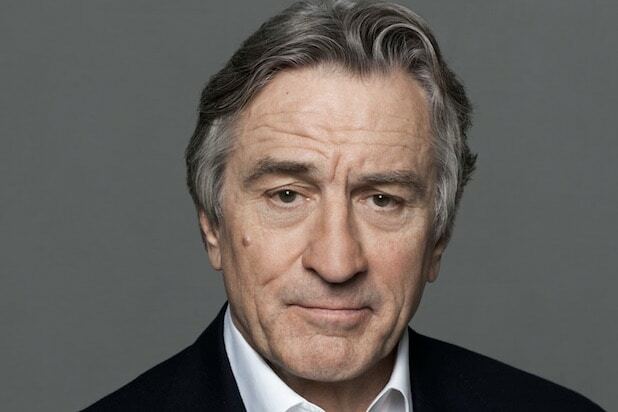 Robert De Niro turns 75 today. The celebrated actor has won two Oscars and several other honors. But today, we aren't celebrating his acting; we're celebrating his history staunch disdain for President Donald Trump. Here is a timeline of De Niro's Trump insults, dating back to 2011. In April 2011, De Niro spoke with NBC's Brian Williams in an interview at the Tribeca Film Festival. This was at the very beginning of Trump's political career, when he was championing the "birther" movement against President Barack Obama. "I won’t mention any of the certain people on the news in the last couple weeks," De Niro told Williams. "But what are we doing? This is crazy. They’re making statements about people that they don’t even back up. Go get the facts before you start saying things about people." Though De Niro danced around saying Trump's name explicitly, it's clear from the interview who he was talking about. At the GLAAD Media Awards in May of 2016, De Niro took shots at Trump's infamous "tiny hands." "You think you’ve got it bad, [LGBT] community? I don’t think you know what it’s like to be really discriminated against," De Niro joked while accepting an award for Excellence in Media. "I recently turned on the television news and saw this odd guy with little hands, and he was, like, raving. Turns out the ones being discriminated against are straight, middle-aged white men." During the summer of the 2016 presidential campaign, the revered actor again weighed in on Trump at the 22nd Sarajevo Film Festival, where he was receiving a lifetime achievement award. "I think people now are starting to really push back. The media, they’ve given him all this attention and finally they’re starting to say, ‘Come on, Donald. This is ridiculous. This is nuts. This is insane,’" De Niro said. "Cause what he’s been saying is really, totally crazy, ridiculous stuff…he’s totally nuts." In October 2016, just about a month ahead of the election, De Niro went off on Trump in footage from a #VoteYourFuture ad. "He’s so blatantly stupid," he said. "He’s an embarrassment to this country... He talks how he’d like to punch people in the face? Well, I’d like to punch him in the face. This is somebody that we want for president? I don’t think so." After the 2016 presidential election, De Niro was angry and shocked -- along with much of America -- that Trump beat democratic candidate Hillary Clinton. "I feel like I did after 9/11," he said in an interview with The Hollywood Reporter. "And we'll just see what happens. There will be many, many, many, many, many people watching." Last January, De Niro spoke at an anti-Trump rally outside of Trump Tower in New York. "I’m very happy to be here tonight with all of you and all of my overrated friends," De Niro said, referencing Trump's tweet that Oscar-winning actress Meryl Streep is "overrated." De Niro went on to make fun of Trump's tweeting with a series of imagined Trump tweets: "First: ‘De Niro’s career is a disaster. He was passed over for Godfather 4 and Magnificent Seven. Pathetic!'" De Niro went on to say "[Trump is] a bad example of this country, this city." Last February, De Niro told the hosts of "The View" that he'd still very much like to punch Trump in the face. "I said that because he said that about somebody, that he would like to punch them in the face," he said. "How dare he say that to the crowd? How dare he say the things he does? Of course I want to punch him in the face … It was only a symbolic thing, anyway. It wasn’t like I was going to go find him and punch him in the face. But he’s got to hear it. He’s got to hear that, you know, that's how he makes people feel." Last May, De Niro called Trump's America a "tragic, dumbass comedy" during a visit to Brown University. And during his acceptance speech at the Film Society of Lincoln Center for the annual Chaplin Award, De Niro called out the Trump administration for its position towards art and other policies. "The administration’s mean-spiritedness towards art and entertainment is an expression of their mean-spirited attitude about people who want that art and entertainment," he said. "People also want and deserve decent wages, a fair tax system, a safe environment, education for their children, and healthcare for all." At this year's Tony Awards, De Niro used his platform on stage to criticize Trump -- and drop plenty of F-bombs in the process. CBS had to later release a statement saying his explicit language was "unexpected." Just a few days later, De Niro apologized to Canada's prime minister Justin Trudeau for Trump's "idiotic behavior," calling it "a disgrace." The apology came after the G7 summit in Quebec, which happened days before Trump's historic summit with North Korean dictator Kim Jong Un in Singapore. The president widely treated the meeting with traditional allies as an afterthought, arriving late to sessions and leaving them early. Disagreements with Trudeau sparked a Twitter tirade from Trump as the summit concluded. All of De Niro's statements about Trump finally made their way to the White House after the actor's Tony Awards speech got a response from the president. “I watched him last night and truly believe he may be ‘punch-drunk,'” Trump tweeted. 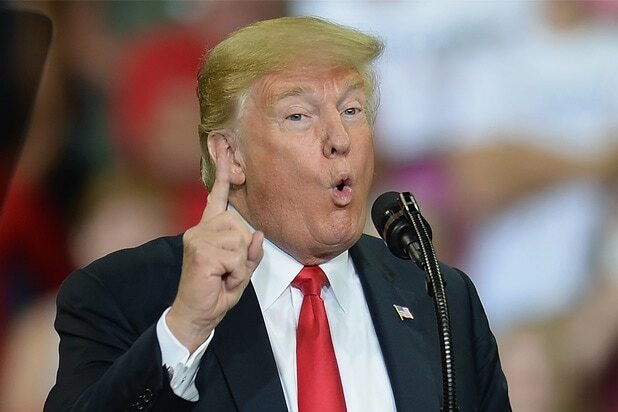 “I guess he doesn’t……realize the economy is the best it’s ever been with employment being at an all time high, and many companies pouring back into our country. Wake up Punchy!,” POTUS went on say in a separate tweet.